Dimensions 0.50 by 6 by 8.50 in. Amazon.com description: Product Description: The idea of virtual realities has a long and complex historical trajectory, spanning from Plato's concept of the cave and the simulacrum, to artistic styles such as Trompe L'oeil, and more recently developments in 3D film, television and gaming. However, this book will pay particular attention to the time between the 1980s to the 1990s when virtual reality and cyberspace were represented, particularly in fiction, as a wondrous technology that enabled transcendence from the limitations of physical embodiment. 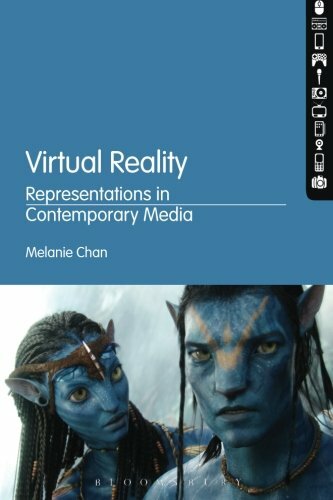 The purpose of this critical historical analysis of representations of virtual reality is to examine how they might deny, repress or overlook embodied experience. Specifically, the author will contend that embodiment is a fundamental aspect of immersion in virtual reality, rather than something which is to be transcended. In this way, the book aims to challenge distorted ideas about transcendence and productively contribute to debates about embodiment and technology. About: The idea of virtual realities has a long and complex historical trajectory, spanning from Plato's concept of the cave and the simulacrum, to artistic styles such as Trompe L'oeil, and more recently developments in 3D film, television and gaming.